Head Chef and owner of Michelin-starred Hide restaurant, Ollie Dabbous paid a visit to Le Cordon Bleu London to demonstrate two exciting dishes: kohlrabi parcels and barbecued squab pigeon. Ollie is recognised for his experimental menus. His seasonal menus, which focus on a fine balance of flavours from the freshest ingredients, saw him redefine the face of British fine dining. Ollie’s cooking is produce-led and his focus is on sourcing high-quality ingredients. Accompanying Ollie in the cooking demonstration was Le Cordon Bleu alumnus, Marnix Tahon, who graduated with a Grand Diplôme in 2017, as well as Marnix's former teacher, Le Cordon Bleu Master Chef Colin Westal. Chef Ollie worked with Chef Colin at the beginning of his career: “Me and Chef Colin go way back, over 20 years ago” he warmly mentioned. Chef Colin embraced the return of Ollie, explaining that he was always very eager to learn and was willing to work hard along the way, even sticking around long after his shift had finished so that he could help in any way that he could. This determination along with a zest for cooking helped ascend him to the critically acclaimed restaurateur he is today. Both proudly beaming, it was clearly a pleasure for the pair to be working together again. Ollie first demonstrated delicately cooked kohlrabi parcels, which began with a pine broth. Simmering white onions, salt and sugar in a pan with plenty of water, he removed the pan from the heat and stirred in pine and bonito to finish the broth. Moving onto the perilla and baby spinach, Ollie demonstrated how to cook quickly, boiling the two for just 30 seconds in salted water, before refreshing the mix in ice water so the colour remains, then drying with a j-cloth. Ollie used a sous-vide and water-bath to gently cook the kohrabi for 30 minutes before slicing very thinly into round slices. Each ingredient Ollie uses is greatly thought through and expertly selected to compliment each flavour in the dish perfectly, even down to the sometimes looked over ingredients. Mixing the cooked kohlrabi with olive oil and vegetable oil is such an example, with the vegetable oil helping to retain bitterness in the vegetables, while the olive oil does the opposite, balancing the dish and bringing out the natural flavours in the kohlrabi. To create the kohlrabi parcels, the michelin-starred chef placed the filling in the middle of each individual slice before sealing at the top, sprinkling a pinch of dressed chickweed on top and a few fennel seeds. This demanding, yet delicate dish created, Ollie was quick to reiterate that he would only create this delicate dish in this particular way if all ingredients were in season, as his emphasis is on using only the freshest produce. For the second half of the demonstration, he showcased a barbecued squab pigeon glazed with London honey and crushed spices, alongside a smoked walnut praline and quince miso. Ollie started this off with a whole, pre-butchered pigeon, which he oven roasted in garlic oil at high heat for 3-4 minutes. To obtain the barbeque flavour, Ollie then cooked in a 58°C barbeque for 3 minutes, before brushing it with a mix of honey, juniper powder, arctic thyme and roasted caraway seeds. By utilising different cooking methods on, more complex flavour was created and the meat remained moist. To complete the dish, Ollie pairs the pigeon with a jus. For the jus, Ollie emphasises that it’s not about the strength of flavour in a dish, but the balance of flavour. Flavours that that work well together do not have to be over-compensated by adding large amounts of seasoning. He explained that any cooking method is fine, as long as you are tasting your food at every stage, ensuring it is all coming together nicely. Ollie encourages to always question everything; in doing so, you will know what works well, and what you could change. As the evening wound down, guests enjoyed tasters of the two dishes demonstrated while asking chef questions. Having imparted a real insight into his recipe concepts, techniques and experience of working in high-end kitchens, Ollie closed the evening with some final words of inspiration: “Confidence is contagious in a kitchen, but lack of confidence is even more contagious”. 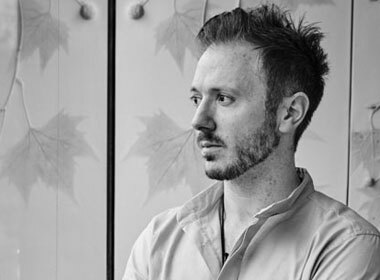 Ollie Dabbous is Head Chef & co-owner of the Michelin-starred Hide Restaurant for a demonstration showcasing some of the recipes and techniques that have helped his restaurants flourish to critical acclaim, while also leading him to partner with luxury brands Burberry, Rolls Royce and Sotheby's, among others. With experience in the kitchens of Belmond Le Manoir aux Quat'Saisons, Hibiscus, Mugaritz, Noma, L'Astrance and Pierre Gagnaire, Ollie opened his own restaurant, 'Dabbous', in 2012. After receiving great critical acclaim and becoming a Fitzrovia favourite, it closed its doors in 2017, but the team were excited to reunite, opening Hide in 2018; within 6 months it received a Michelin-star as well as countless other accolades.